Despite advances in situational method engineering, many software organizations continue to adopt an ad-hoc mix of method fragments from well-known development methods such as Scrum or XP, based on their perceived suitability to project or organizational needs. 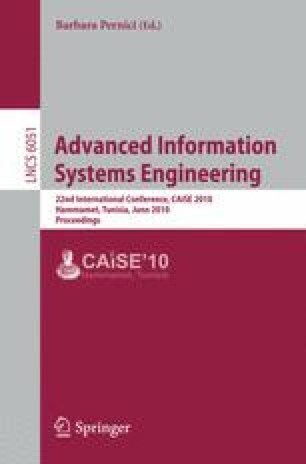 With the increasing availability of empirical evidence on the success or failure of various software development methods and practices under different situational conditions, it now becomes feasible to make this evidence base systematically accessible to practitioners so that they can make informed decisions when creating situational methods for their organizations. This paper proposes a framework for evaluating the suitability of candidate method fragments prior to their adoption in software projects. The framework makes use of collected knowledge about how each method fragment can contribute to various project objectives, and what requisite conditions must be met for the fragment to be applicable. Pre-constructed goal models for the selected fragments are retrieved from a repository, merged, customized with situational factors, and then evaluated using a qualitative evaluation procedure adapted from goal-oriented requirements engineering.